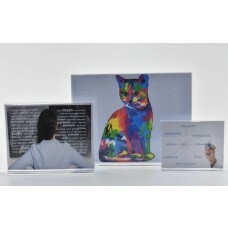 We manufacture and stock a wide selection of Acrylic Free Standing Double Sided show card holders. 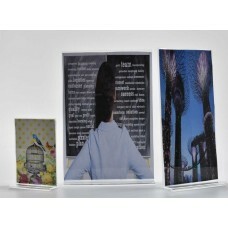 Card Holders displays are made in sizes from A10 up to A0 in both portrait and landscape formats. The most popular sizes we produce are A3, A4, A5, 1/3 A4 (DL) and A6. We also fabricate bespoke, made to order stands in acrylic and other plastics to suit your requirements. 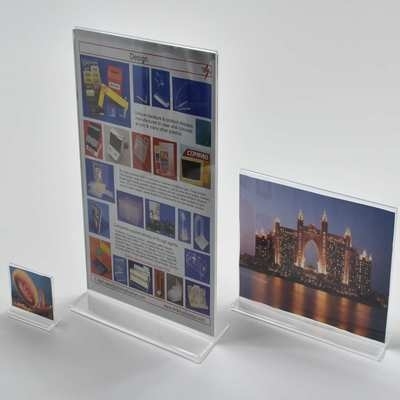 Click on the Double Sided Card Holder Stands below for more information.